Maybe you’re thinking about installing central air or upgrading an old system and have started your research. If so, you’ve probably come across several terms that describe different kinds of air conditioning units. Terms like single speed, two stage, or variable speed. But what do these actually mean? These are terms the industry uses to describe different operating capacities of AC units. This article defines exactly what those are and why one of them—variable-speed air conditioners—are getting a lot of attention these days. OK. Here’s the bottom line on the types of air conditioning units you’ll find today. Single stage or single speed: These terms mean the same thing. A single speed air conditioner operates in either an ON or OFF setting. So when it’s on, the compressor is working at 100% capacity. And when it’s off, well, obviously, the compressor is not working at all. This is how most air conditioners operated until fairly recently. And if your unit is more than 10 years old, it’s most likely a single-speed unit. Two stage: A two-stage air conditioner has two compressor speeds: low and high. These units provide greater ability to adapt to outside temperatures than the single-stage units. Variable speed: As the name implies, variable-speed air conditioners operate at different speeds, depending on the cooling needs of your home. For example, let’s say your home has reached a target temperature of 72° F, with an outside temperature of 80°. It won’t require the full capacity of the air conditioner to maintain that 72°. Perhaps it would only need to operate at 35% capacity. But, if the outside temperature rises to 95°, your unit would need to operate at a much higher capacity to maintain that same 72°. A variable-speed compressor will make those adjustments automatically throughout the day. The bottom line is that your home can be cooled at lower speeds for longer periods of time, with the higher speeds still available for when the temperatures really rise. Why Are Variable Speed ACs Becoming So Popular? Better energy efficiency, which means lower operating costs. Variable-speed units run at lower speeds for longer periods of time, with fewer on/off cycles. Your system costs less to run the fewer on/off cycles it goes through because of the greater amount of start-up energy it uses when powering on. Greater home comfort. A variable-speed air conditioner maintains an even temperature throughout your home because of its ability to constantly adjust to outdoor temperatures. Decreased humidity. The long run times allow for more airflow to pass across the cold evaporator coil providing maximum dehumidification. Dryer air allows for a higher setting on the thermostat, saving money. And dry air is also better for people with allergies and respiratory problems. Cleaner, fresher air. The longer your unit runs, the more airflow that passes through the system’s filters, capturing any contaminants and allergens. At Stay Comfy, we recommend the Carrier line of air conditioners, including their variable-speed model, the Infinity 19VS. 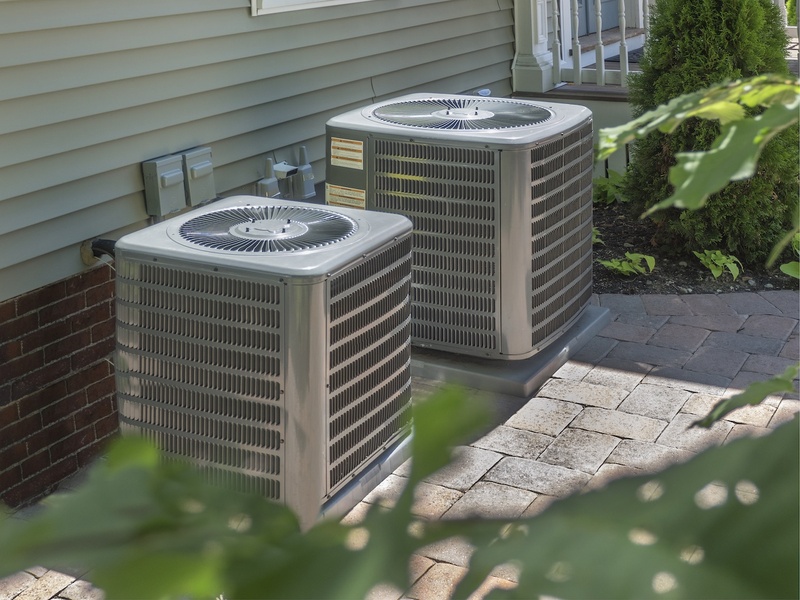 With over 100 years of air conditioning expertise, Carrier has proven its reliability, durability, and overall excellence. Contact your local dealer for more information. Budgeting for HVAC: How Much Does Ductwork Installation Cost? AC Issues: Why Should I Care About Dirty Condenser Coils?